• Walnuts are not just heart healthy but also good cleansers! Scratches on your wood work will disappear in no time by rubbing shelled walnut kernels. • Cut onions into two halves and prick onion with a fork and rub this on your pre-heated microwave grill or oven to clean them. • Tannins in tea leaf add shine to wooden furniture. 4 tea leaves or 4 tea bags soaked in a cup of water, after cooling can be used as a polish for wooden furniture. 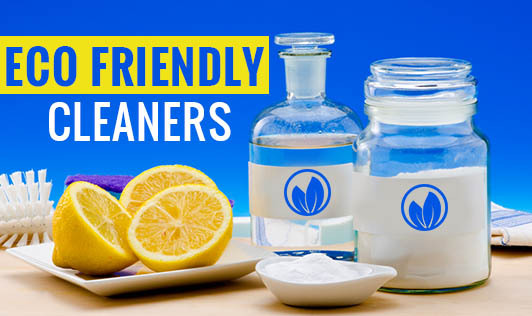 • The antibacterial and antiseptic properties in lemon juice help to remove stains on countertops or tubs and toilets. Wipe the lemon juice with a wet cloth after allowing it to stay on the stain for 2-3 minutes. Leaving it for a longer time can bleach the dark surfaces. • 99% of bacteria and 80% of germs can be cleaned with vinegar. A cup of vinegar with water in a spray bottle can be used to clean glass surfaces. • Wash off greasy stains on your cloth with generous amount of salt and soap solution.